It can be difficult to know what size dog harness, coat or collar your pup needs. Every breed (and even dogs within the same breed) have different body shapes. It's often recommended you choose size based on weight, but a 40lb bulldog is going to have a different fit than a 40lb greyhound. 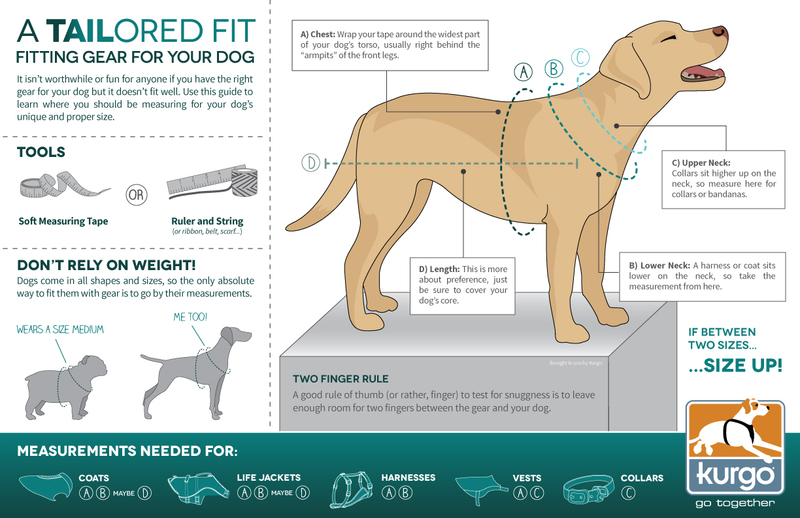 To help you measure and get the right size for your dog without the guesswork, we've created this infographic. All you need is a flexible tape-measure or a string (or anything else you can wrap around your dog) and a ruler.